The most complete collection of the works of A. 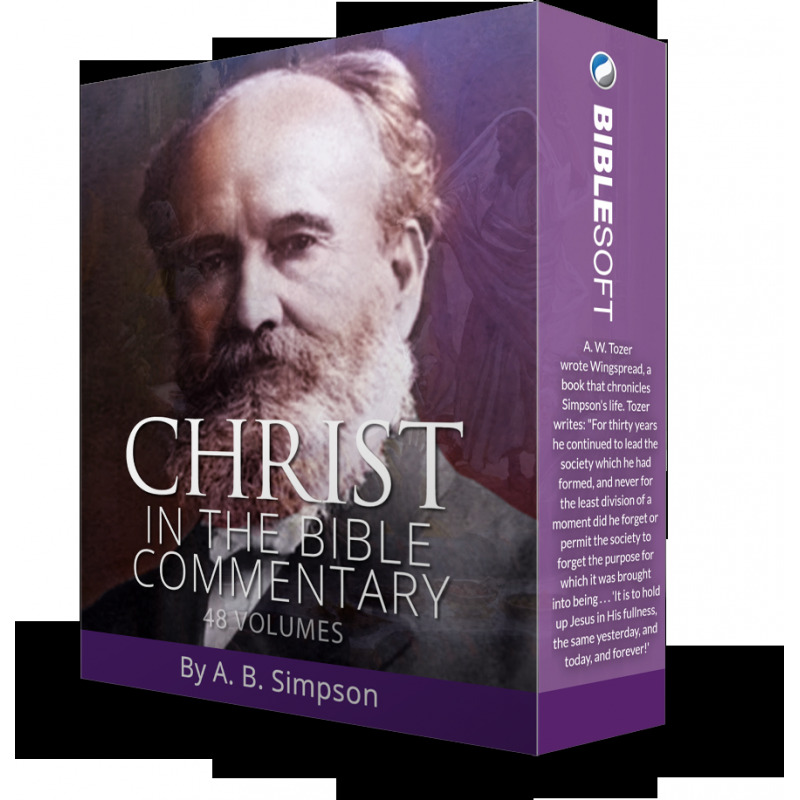 B. Simpson available, including his famous Christ in the Bible Commentary Series! This is the most complete collection (est. 48 volumes) of the works of Albert Benjamin (A. B.) Simpson (1843-1919) available. It features his famous Christ in the Bible Commentary Series (also available for purchase separately), originally published in 24 volumes—a rich devotional and expository series covering the span of the entire Bible, from Genesis to Revelation. It has as its theme an exploration of the presence of Christ in every book—how even the writings of the Old Testament point toward the person and work of Jesus Christ. In addition to these volumes, we offer a most extensive collection of Simpson's writings, including a set of 21 volumes (available separately), along with three brand NEW titles.